The online multiplayer mode of Rockstar Games' Red Dead Redemption 2 will start rolling out this week. The online multiplayer mode of Rockstar Games' Red Dead Redemption 2 will start rolling out this week. From riding horses to hunting rare animals, fans are more than excited to share this marvellous experience with their friends. Exactly a month after releasing the offline-campaign mode of Red Dead Redemption 2, Rockstar Games has announced that the game's online mode will start rolling out by tomorrow. 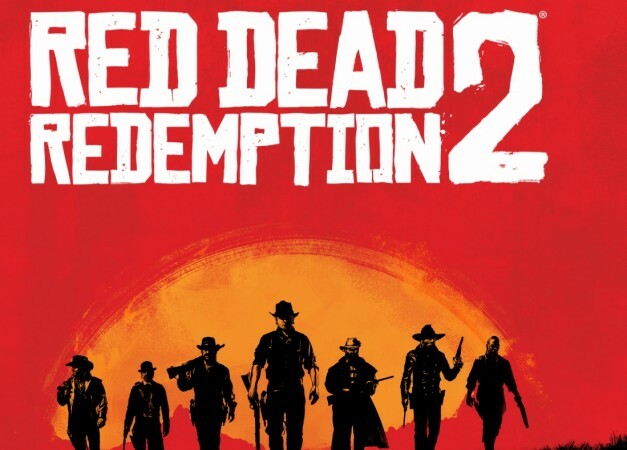 The beta version for RDD2 will be available for free to all those gamers who bought the Ultimate Edition of Red Dead Redemption 2. Those who bought and played the game on its first three days of release, i.e., between October 26-29, will get access to online mode on November 29. Then later on November 30, the online multiplayer mode of Red Dead Redemption 2 will be open for all the players. The company, which released the world-famous Grand Theft Auto series, released Red Dead Redemption in October and the storyline serves as a prequel to the first game in the series. As earlier reported in Red Dead Redemption 2 review section, players will take on the role of Arthur Morgan, a member of the Van der Linde gang. In the massive open world, Arthur must learn how to survive in the world, which is not as wild as it used to be. Red Dead Redemption 2 lets you do a variety of thing other than following the storyline. Players can engage in day-to-day activities like hunting, cooking, and playing games with other gang members. In addition to this, players can also enjoy exploring the open-world and find the hidden easter eggs, like spotting a ghost train, finding clues about aliens and Bigfoot, time travelling, and actually spotting the spaceship. As of now, nothing is being released by the Rockstar Games about the online mode of Red Dead Redemption 2. But as per reports, the online segments are reportedly free to play to everyone who has bought the game. "With the gameplay of Red Dead Redemption 2 as its foundation, Red Dead Online transforms the vast and deeply detailed landscapes, cities, towns, and habitats of Red Dead Redemption 2 into a new, living online world ready to be shared by multiple players. Create and customize your character, tailor your abilities to suit your play style, and head out into a new frontier full of things to experience. Explore this huge world solo or with friends. Form or join a posse to ride with up to seven players; gather around the fire at your camp; head out hunting or fishing; visit bustling towns; battle enemy gangs and attack their hideouts; hunt for treasure; take on missions and interact with familiar characters from across the five states; or fight against other outlaws in both spontaneous skirmishes and pitched set-piece battles; compete with other players or whole posses in open world challenges and much more." It would be interesting to see what gamers from around the world will be able to do in the online multiplayer mode of Red Dead Redemption 2.